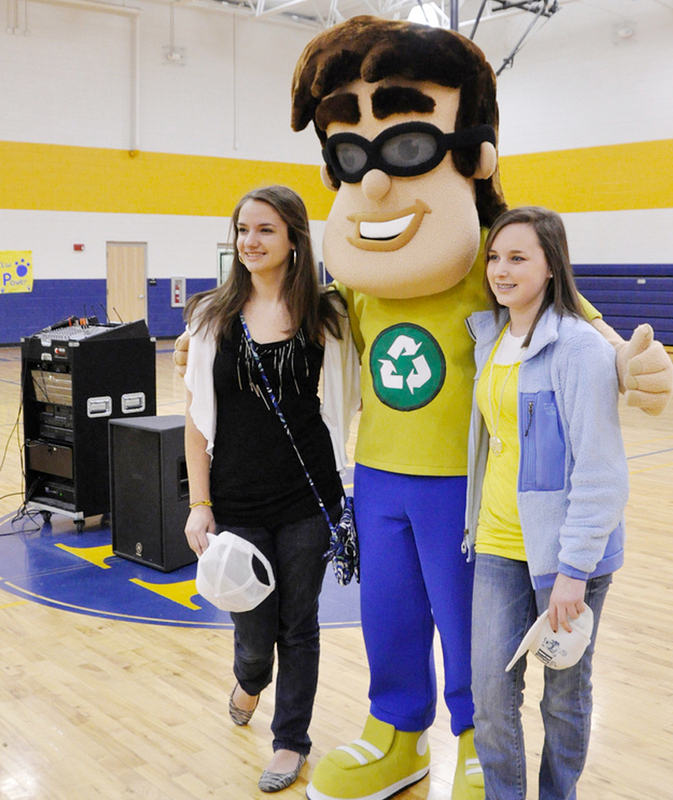 Recycling Ben, mascot for Target Recycling at School, visits students at New Hope Middle School during an assembly. Recycling Ben is the mascot for the Target Recycling program. 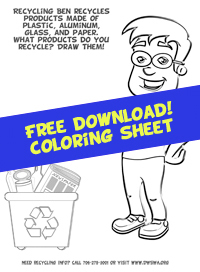 He enjoys spreading the word about recycling in Whitfield County. Recycling Ben's picture is on the Target Recycling collection containers, and on the truck that goes to local schools and business to pick up recyclables. He's also the face of our social media campaign. There are two versions of our mascot. One is a live mascot that stands about seven feet tall, and is available to visit your school during educational sessions, assemblies, parades and other special events. The second is a stand alone or cutout called “Flat Ben”. Flat Ben can stay at your school for a week or more to remind everyone to recycle. Contact the Materials Recovery Facility to schedule an appearance of Recycling Ben at your school or special event or to borrow Flat Ben. Call (706) 278-5001 or e-mail ahartline@dwswa.org. 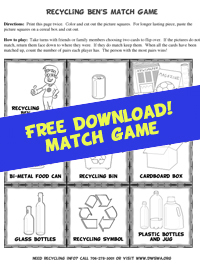 Recycling Ben is online keeping you up to date with our activities, and teaching you about recycling. Scan the snapcode above with your mobile phone to add mascot recycling ben to your app - or search for username "recyclingben". Click the image to get the PDF.